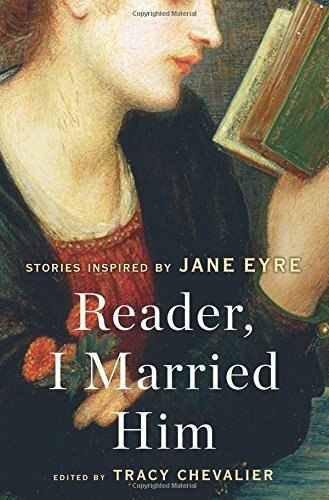 It’s admittedly early in 2017, but I suspect that this may well wind up as one of the best novels of the year. Karen relies on her younger sister Allie – a wife and mother and Seattle resident, to take care of both her and her six-year-old son Jake. Jake represents absolutely everything that matters to Karen. She will willingly surrender her career, her health, her life if it means that Jake will be alright. Karen comes to realize that Allie can take her place and serve as a replacement mother to Jake once she dies. But then the best laid plans evaporate as Jake decides that he wants to meet his father, Dave. Dave never wanted children. When he and Karen were together, Dave pressured her to abort the child she was carrying. This led Karen to walk out on the relationship and to sever all contact with Dave. This is Grodstein’s sixth novel but it reads like a debut work. It has the voice of a writer attacking a story while narrating it with a quiet confidence. In that, it calls to mind Audrey Niffenegger’s brilliant Her Fearful Symmetry. Grodstein permits the reader to live, for a period, the life of a terminal cancer patient. It is hardly a pleasant experience, nor is it meant to be. She allows us to see that even in human pain and suffering, existence has a purpose. Karen has found her purpose; in this, she is a lucky person. In the words of author Celeste Ng, “This novel will leave you appreciating both the messiness of life and the immense depths of love.” Well said. 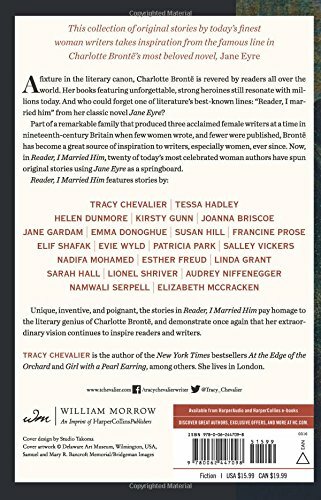 The reader who makes it to the final pages of Our Short History will have paid a price – in smiles, laughter, heartbreak, fear and tears. It’s a price well worth paying as Grodstein’s story is a nearly perfect representation of the notion that everything in life – painful and pleasing, has relevance. One’s life is lived not in days or weeks, but over years and decades. This is a literally breathtaking, life affirming work. It’s not a ghost story like Her Fearful Symmetry, but it’s written from the perspective of a woman who knows that her time on earth is limited. (After she’s gone, the “short history” – the personal story she’s recorded – will communicate with her son in a ghostly fashion.) Our Short History is beautifully, finely written and haunting in its own way. Look for it in March. In 2003, I purchased and read the then-new novel The Dogs of Babel by Carolyn Parkhurst. I found it to be strange, engaging and more than a bit troubling. Years later I received a review copy of The Nobodies Album, a novel that I found to be flat and dry the first time I read it. For some reason, I later elected to read Nobodies a second time and enjoyed it once I realized that Parkhurst was channeling the cool, icy style of Joan Didion. 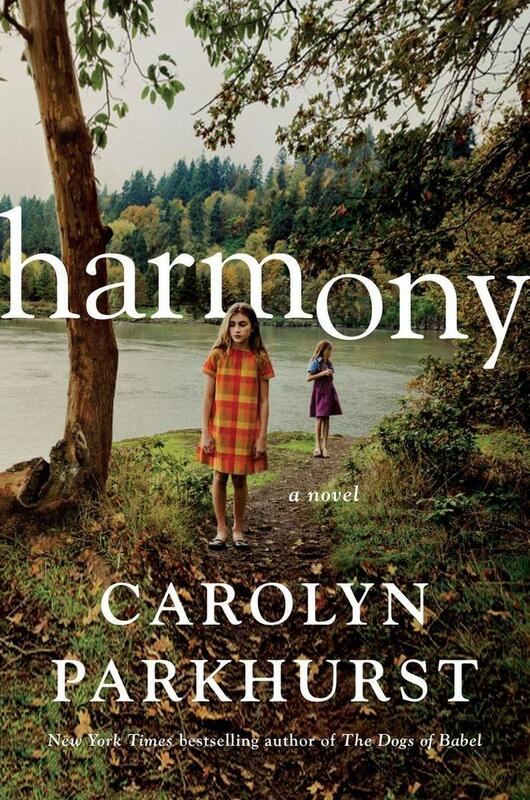 And so we come to Harmony, the latest novel from Parkhurst. The first thing I will note is that it’s more Babel-like than Nobodies. Basically, the author has decided to write a giant curveball of a story. Trust me, it’s not what you think it is. In Nobodies Parkhurst took us into the world of professional musicians. Like a musician, she uses tension to a great extent in Harmony – such a calming title for a tense work, setting us up for what we believe will be discomfort and pain before relief. We’re not ordinary people anymore. As far as the whole world is concerned, you’re all members of a cult. And me? I’m your leader, I’m your Jim Jones. In this story, Alexandra Hammond is a mother in Washington, D.C. facing significant difficulties in managing her autistic daughter Tilly. Her husband Josh and her other daughter, Iris, are also highly affected by the situations created by the brilliant, yet socially inept Tilly. Finally, Alexandra finds a savior of sorts, a not-quite psychologist/teacher by the name of Scott Bean. Bean proposes to set up Camp Harmony in the wilds of New Hampshire, a place of refuge and healing for families with unique, difficult (never “special”) children. It turns out, naturally, that Mr. Bean may be anything but stable himself. Happiness, as it exists in the world – as opposed to those artificially constructed moments like weddings and birthday parties, where it’s gathered into careful piles – is not smooth. Happiness in the real world is mostly just resilience and a willingness to arch oneself toward optimism. To believe that people are more good than bad. To believe that the waves carrying you are neither friendly nor malicious, and to know that you’re less likely to drown if you stop struggling against them. But the fine writing is more or less wasted in a tale that’s clever, clever, clever and clever. In the words of a college professor, “This is too clever by half.” Even worse, when Parkhurst reaches the natural ending of the story she refuses to let it lie. Instead, she adds on an “epilogue” that stands alone. It’s unrealistic and calls to mind the magic-centered writing of Audrey Niffenegger (Her Fearful Symmetry). It’s quite likely that Parkhurst has it in her to write a Niffenegger-style story of hope and deliverance. But this is not that story. This book was released on August 2, 2016. Neil Gaiman describes his work as making stuff up and writing it down. Where to begin? 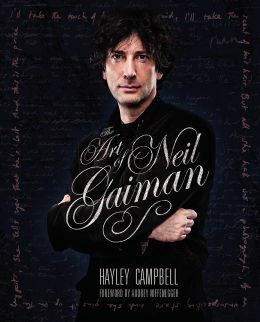 The perfect biographer, the physical book (a large one), the captivating stories and their history coalesce to provide the fortunate reader with the feeling of truly experiencing Neil Gaiman. Audrey Niffenegger, author of the ghost story Her Fearful Symmetry and fellow Brit, sets the mood for Hayley Campbell’s thorough exploration into the evolution of Gaiman, to date. If there is one thing that characterizes Gaiman as a writer (and McKean as an artist for that matter), it’s that he likes to keep moving on, a habit that was no doubt born during his time as a journalist and seeing writers being trapped in boxes from which they can never escape. I’m a relative newcomer to the world of Neil Gaiman. The only work of Gaiman’s that I’ve read – and it happened in one sitting, is The Ocean at the End of the Lane. The provocative little novel piqued my curiosity. Who would write in this style and what sort of person are they in everyday life? Biographer (and model) Campbell establishes her bona fides by explaining that she met Gaiman in 1992 when she was just six years old. He was a houseguest and, based on her dad’s enthusiasm at the visit, she knew he was special. Oh, and he was the author of her favorite childhood story. Their friendship has continued to the present. Campbell had free run of the vast archive of his work, mostly stored in the attic of his home. 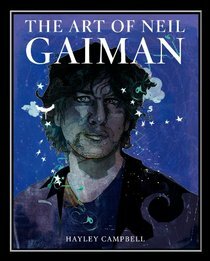 The Art of Neil Gaiman is appropriately named. Gaiman made conscious and sometimes not-so-conscious decisions to become a writer. At times he took odd assignments to provide himself with food and shelter. Regardless of the job outcomes, it is clear that Gaiman searches for the lesson and value in his experiences. As a writer for magazines, he learned to quickly produce a finished piece. His habit of taking notes of ideas as they occur to him has provided him with a wealth of material. The numerous illustrations are widely varied – photocopies of scribbled notes, childhood pictures, sketches for various projects and illustrations from finished works. The book is easy to read and engaging. Each page entertains the reader. I savored the vignettes along with meals. There was no urgency as one feels with a mystery novel. The unfolding tale of Gaiman’s development as an artist is fascinating. The sections are arranged in quasi-chronological order. Some contain parallel time frames but different aspects of his development as a writer. So, just what sort of person is this artist in everyday life? Neil Gaiman has a genuine appreciation of readers as well as being a kind person. Oh, and his imagination is boundless! This book will remain a permanent part of my library. This is a novel that seemed to promise a good story. Unfortunately, the story was lost in the execution. 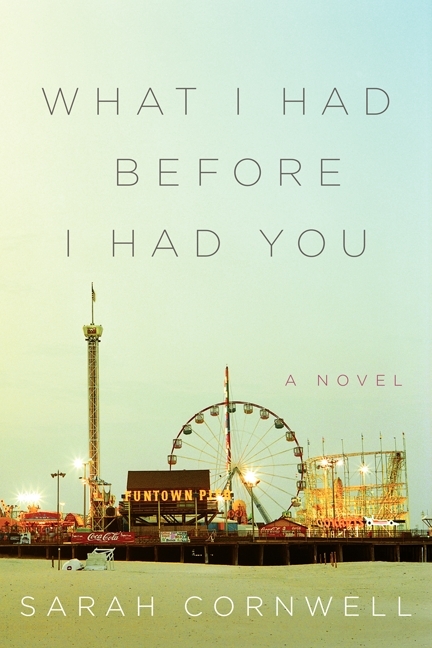 The book involves two plot lines, the first about a young woman – Olivia Reed – who loses her nine-year-old bipolar son at Funtown Pier on the Jersey Shore. The second plot line involves her coming into contact – years earlier, with the supposed ghosts of her twin sisters that died at birth. This latter plot line caught my attention as I hoped it would offer some of the unique enjoyment found in Her Fearful Symmetry by Audrey Niffenegger. The two disjointed stories, regrettably, come together to no apparent purpose. One reason is that Cornwell sacrifices the two plot lines for a third – the story of Olivia’s psychic and mentally troubled mother, Myla. This means that the narrative jumps awkwardly and often incoherently between present and past times. As greatly disappointing as this is, the reader learns early on that this is no ghost story. The supposed twin ghosts are in fact living young women (how it is that Olivia believed they were the spirits of her dead sisters is never made clear). The dorm is a high-rise with a view of the Hudson River. In the elevator, older boys look me up and down. I think I’d better be wild tonight: I could use a thrill to get out of my head after all the illuminations of the week. I study Cortney’s warped reflection in the elevator’s chrome wall and see not the flesh-and-blood girl I know she is, but the ghost staring back at me, and this gives me a little push, a little reignition. When the elevator stops and she gets out, we are mortal again, and I feel the loss and need a drink. They are seeing my mother move through the house, while I am seeing the house move through my mother. There is a sense of brokenness and insufficiency and then a sense of crushing loneliness. My mother turns around to look me in the eye and smiles a grim smile. She knows I am receiving her. I make female friends rarely, but when I do, I find myself acting slightly different: bubblier or quieter or more intellectual, or less. These small calibrations wear me out; I am exhausted after spending time with women. What I Had Before I Had You may appeal to those who harbor intense, lifelong anger at a parent. These readers may identify in some way with the horribly dysfunctional relationship between Olivia and Myla. Yet I suspect that most will fail to connect with this strange, highly troubling tale. About half way through the reading of this rather short novel, some readers will have figured out a logical conclusion; however, this would rest upon Myla’s being alive. No spoiler alert is needed, but Cornwell figures out a way to get to that conclusion despite the fact that Olivia’s mother is dead. It’s like watching someone pound a square peg into a round hole, and it is not satisfying. This book was released on January 7, 2014. How can she choose between her child and herself? If you’ve enjoyed reading Audrey Niffenegger’s unique novels (Her Fearful Symmetry, The Time Traveler’s Wife), you will likely find this debut novel by Amanda Brooke to be extremely engaging. Yes, there’s the calm countryside near London, time travel and spirits of a sort as provided by a magical device – an ancient Aztec moondial that, on full moon nights, enables its owner to travel 18 months into the future, for an hour at a time. Our female protagonist, Holly, fears she’d be a terrible mother – like her own parent, until she uses the moondial found in her new home’s garden to discover that she will give birth to a daughter, Libby. The problem is that Holly will die while giving birth, which means that she’s faced with the choice of never getting pregnant or sacrificing her life for that of a child she will never know. Holly felt defeated and deflated. There were three whole weeks to wait until the next full moon… and Holly felt like her life had been placed in limbo. Dealing with the emotional fallout from this latest separation from (her husband) was bad enough, but living with the nagging doubts and the growing possibility that she had seen a vision of her future – one where she had already died – was just too much to bear. Holly, fortunately, comes to know the elderly neighbor, Jocelyn, who once lived in her old rural home and knows the powers of the moondial, and the rules (“A life for a life.”) that apply to its use. Her hands trembled as she held aloft her death certificate. The certificate recorded the cause of her death as an aneurism… following childbirth complications. Holly took a deep breath and focused on the sensation of her blood flowing through her veins and her heart beating rapidly in her chest. She was most definitely alive. Holly barely survives the days between full moons, when she jumps into the future for 60 minutes and sees the results of her current life choices. She comes to find that some things about the future can be changed, and some cannot. And she’s faced with the ultimate choice: continuing her own life (seeing in her time travels that her husband Tom will be destroyed at her untimely death) or giving it up for the child she’s seen and come to love more than anything. (Holly) looked up at the moon and realized that she didn’t have to wish for anything else. She had her husband and she had Libby growing inside of her and she would have both of them with her until the day she died. Brooke supplies an almost perfect ending that will fool readers, like me, who suspect a different conclusion has been brewing. This novel, which evolved from the author’s loss of her three-year-old son, Nathan, from cancer, is both inspired and inspiring. It’s a fine tribute to Nathan Valentine and the power of eternal love. 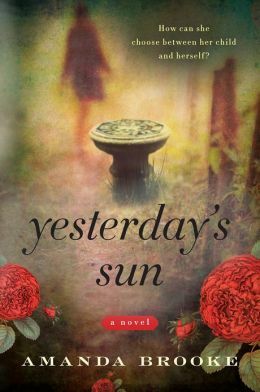 Yesterday’s Sun was released on February 12, 2013. Great ghost stories – ones that seem both plausible and questionable – don’t come along every day. One of the most recent great ones was Her Fearful Symmetry by Audrey Niffenegger. Symmetry had us so enthralled that we posted three separate reviews of the haunting novel on this site. Now Christopher Coake has presented a story with all the depth of Symmetry, interestingly set in the neighborhoods of Columbus that adjoin the Ohio State University campus. Our protagonist, Mark Fife, entered a period of isolating and drinking too much, which spurred his wife Chloe – the true love of his life – to leave him at home one night, supervising their young son Brendan. Mark orders his son to go upstairs while he drinks and watches an Ohio State basketball game on the TV downstairs. At some point Mark hears a strange sound and gets up to find that Brendan has fallen down the staircase, and has died from a broken neck. Thus begins the ruination of Mark’s existence. Chloe, who blames him for their only child’s death, divorces him and sells the house where the family once happily lived. Mark goes on to spend years living in a townhouse, drinking far too much and thinking about ending it all. As the story opens, seven full years have gone by and Mark’s now happy with his life. He’s met Allie, the upbeat woman he’s engaged to, and he’s got a great friend from college, Lewis, who helps him to remain firmly footed in reality. And then… The woman who purchased Mark and Chloe’s former home has a story to tell. Chloe eventually sends Mark a letter explaining that this woman’s son has seen and heard Brendan’s ghost in the house. Is this for real or is it simply a ruse for Chloe – who hated Mark when she filed for divorce but now professes to once again be in love with him – to break up Mark’s forthcoming marriage to Allie? Mark has spent his adult life being powerless when it comes to Chloe, and now she’s asking him to go to their old house to see Brendan’s ghost. Mark doesn’t believe in ghosts (“I’ve never believed anything like this. Never. This is hard.“), he never has, but then remembers that his serious and grounded friend Lewis once saw a ghost – and Lewis now tells him that seeing the ghost was one of the most authentic experiences in his life. Coake writes in an all-too-smooth style; one in which flawed humans are portrayed so realistically that the tale moves along as if it’s being projected onto a film screen. And, like Niffenegger, there’s a calmness about the telling that draws you in – but with the understanding that you’ll receive hints when the story is about to dramatically explode. You’ll have to devote the time to reading 400 plus pages to appreciate Coake’s offerings. It’s a worthwhile price to pay for discovering a highly talented, powerfully skilled writer. A review copy was provided by the publisher. 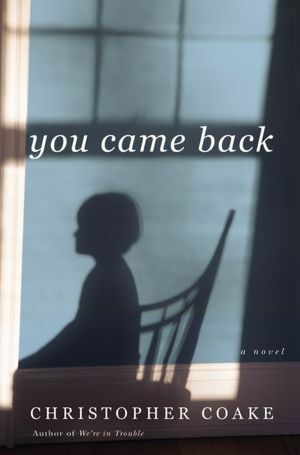 You Came Back was released on June 12, 2012. “When I finished the last page of Christopher Coake’s amazing new novel, I set the book down with a real sense of wonder… (This story) is less concerned with the supernatural than with the all-too-real specters that haunt us all – the ghosts of our former selves, the ghosts of the lives we might have lived had just a few things turned out differently… What an incredible writer.” Jennifer Finney Boylan, author of She’s Not There and I’m Looking Through You.